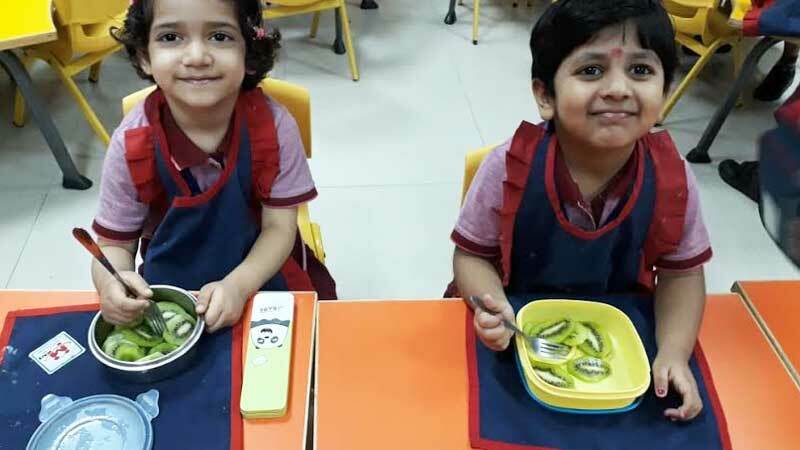 Being a HealthSetGo certified school, Manav Rachna International School 21-C had registered for 21 Day Eat Right Challenge. 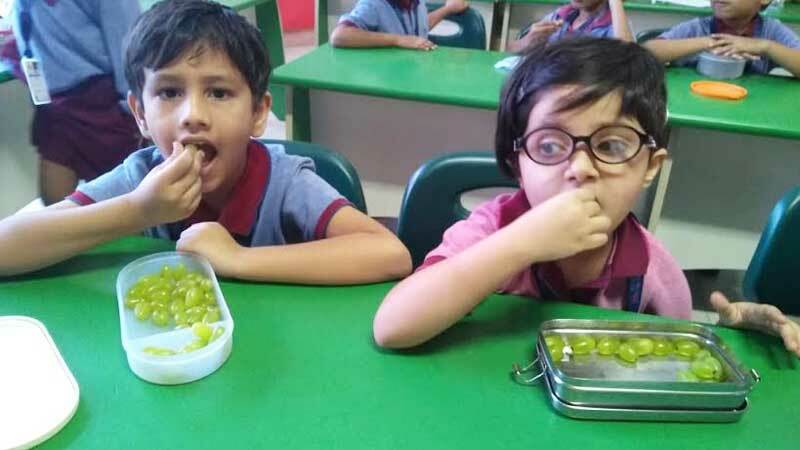 As a part of this challenge, children have been bringing a specific fruit as mentioned in the school circular during the 10 minute fruit break. The list of fruits was repeated for the next 2 consecutive weeks and included Berry fruit on Monday, Citrus fruit on Tuesday, and so on. The nutritional value and advantages of the fruits chosen were also explained in the class. The main purpose of this practice was to ensure the importance of healthy eating at an early age. This challenge was given at National Level by Govt. Of India, Food Safety and Standards Authority of India (FSSAI).